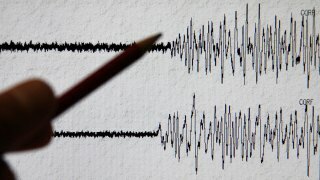 A preliminary magnitude-3.7 earthquake struck the Gilroy area Sunday morning, according to the USGS. Many viewers called the NBC Bay Area newsroom to report they felt shaking in the area just before 7 a.m. Some viewers said that the earthquake felt like a brief jolt while other viewers added that the shaking woke them up. Police reported no damage in the area due to the quake. The nearby swollen Anderson Reservoir, which hovered above 100 percent capacity as of Sunday, also did not appear to suffer any damage, according to the Santa Clara County Water District.